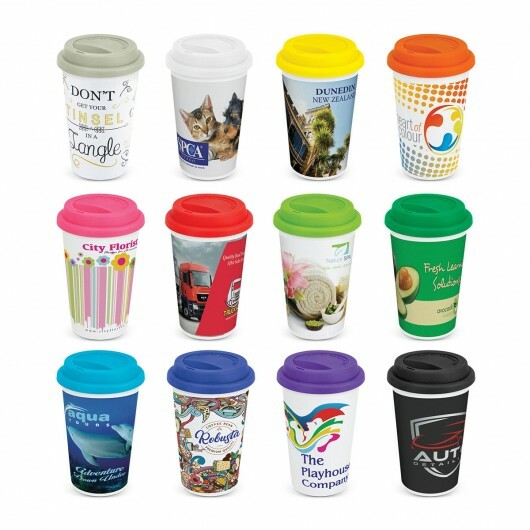 Get your logo seen in stunning full colour wrap on these Enviro friendly coffee cups. 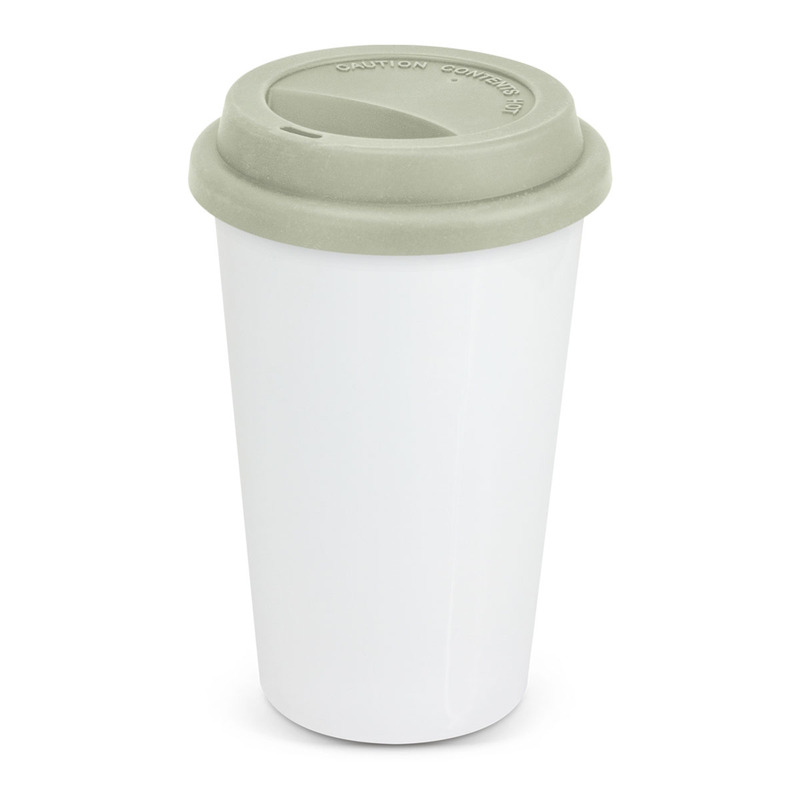 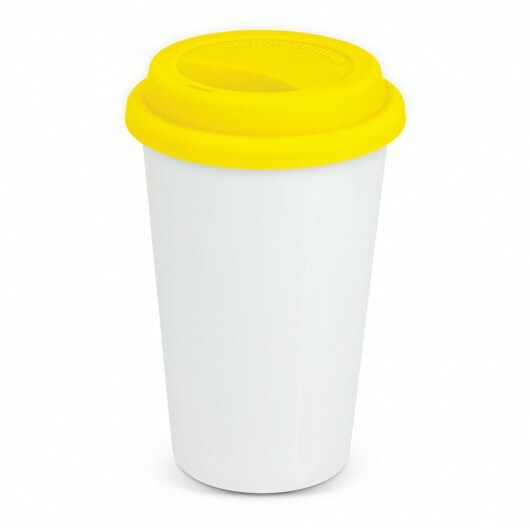 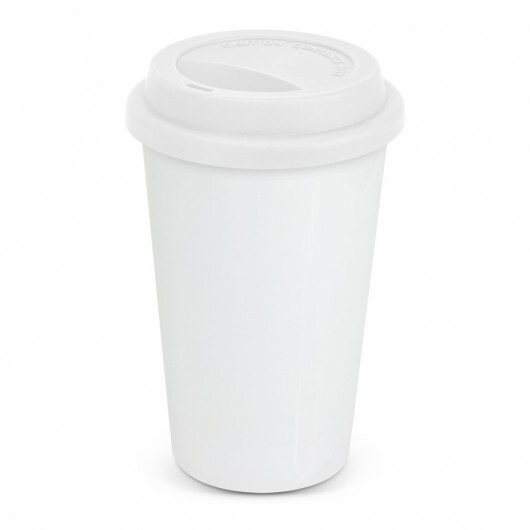 With a full colour wrap print these ceramic double wall coffee cups have a 350mL capacity and a huge area for branding. The double wall structure keeps drinks hot for longer and remain comfortable to hold. 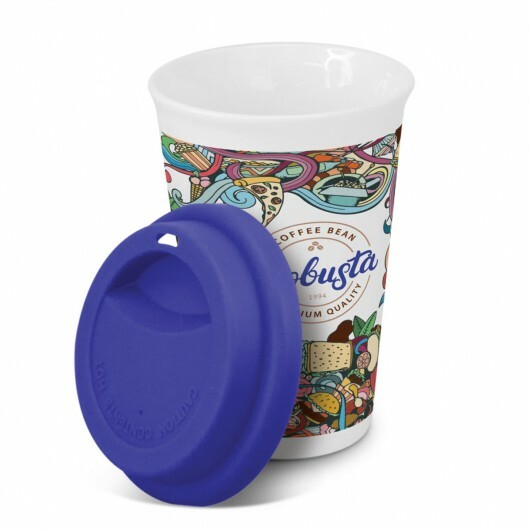 Handwashing these cups is recommended. Available with your choice of 12 possible lid colours.